You can now play Minecraft across the Xbox One, Windows 10, mobile and VR, but it could be a while yet before Sony joins the party on that or any other game – at least that's the view of Xbox chief Phil Spencer, who's been speaking to Gamespot, and says that Microsoft and Sony are talking "all the time" about this issue. 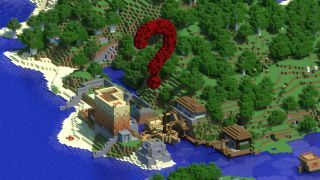 "With Minecraft on PlayStation, we have to be one of the biggest games on their platform in terms of sales and gameplay," says Spencer. "The relationship with Nintendo on this front has been strong. They've been great supporters and we continue to collaborate with them. But I think Sony's view is different. They should talk about what their view is." "I'm never going to call anything a lost cause," he adds on the topic of crossing the ecosystem streams. "But I think some of the fundamental reasons and certain scenarios, they're not really going away. So I don't know what would change." Those reasons and scenarios have been well covered before – the thinking is that Sony wants to maintain its lead in the console market, and while officially the company has said it's got no problem with cross-platform play, user safety has been cited as one reason why it's not happened so far. Apart from the occasional vague comment here and there from Sony, most of the cross-platform talk has come from Microsoft in recent years, with one game developer likening the stand-off to Game of Thrones. We'll leave you to decide which side the White Walkers are. There's no doubt that being able to play against gamers on any platform would be a benefit to the gamers themselves – and as a bug in Epic Games' Fortnite recently showed, it is technically possible too. For now though, we're just going to have to keep waiting.